Expressly durable stainless steel head with 13 prongs for raking in larger areas. Perfect rake for preparing planting bends, levelling soil, cleaning and spreading. Hardened aluminium and unique shaft profile reduces weight without sacrificing strength that makes every stroke effortless. The SoftGrip™ handle design allows multiple hand positions and exceptional handle end shape gives good support during use. Convenient hanging hole on handle for easy storage. 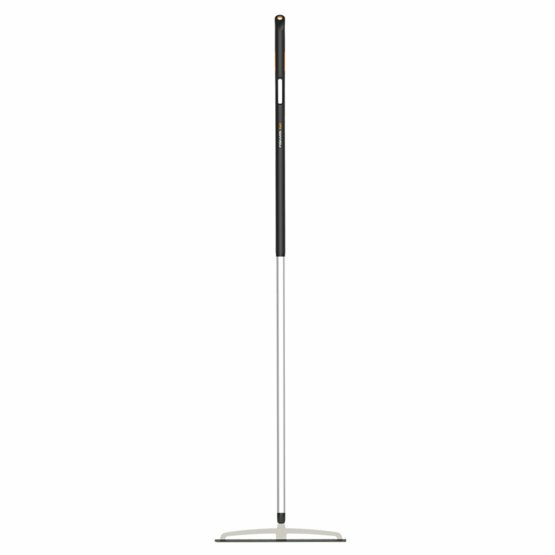 The expressly durable stainless steel head with 13 prongs is convenient for raking in larger areas. The soil rake is perfect for preparing planting beds, levelling soil, cleaning and spreading. The hardened aluminium and unique shaft profile is light and extremely durable and makes every stroke effortless. The comfortable SoftGrip™ handle design allows multiple hand positions and the exceptional handle end shape gives good support during use. The handle has a convenient hanging hole for easy storage.